HDR Experiment, originally uploaded by siddharthasaha. A little experiment with HDR. So far I have been avoiding doing any HDR work. 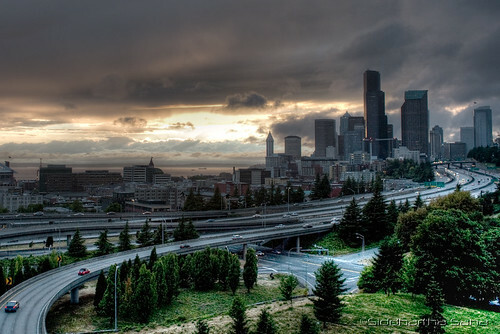 Tuesday, after work, the seattle sky was an amazing combination of sunshine, and fast dark clouds. I went to Jose Rizal bridge, and took a few shots. I only had a 24mm prime, and a 50mm prime with me – so focal length with I was somewhat limited. This was shot with a 24L/1DmarkIII@f8/ISO200. 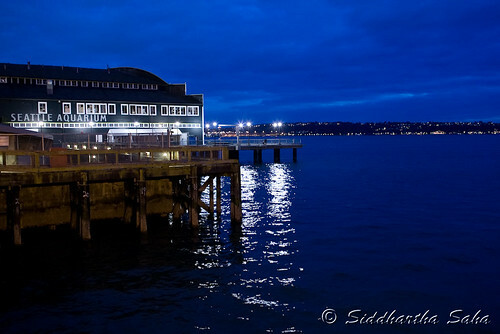 An HDR conversion from a single RAW file, by creating three files by pushing the exposure up an down from the RAW. 2X1W5615, originally uploaded by siddharthasaha. 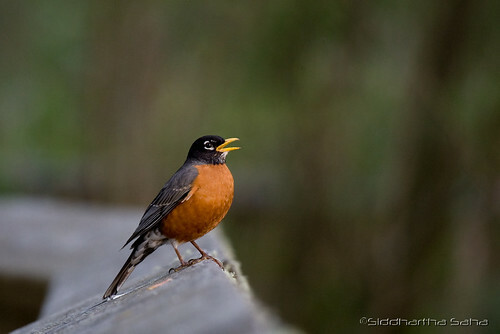 Last month sometime I went for a walk in the Nisqually Wildlife Refuge south of Seattle. I haven’t had a chance to look at the photos since. This is the first one I decided to upload. 7A3V3016, originally uploaded by siddharthasaha. 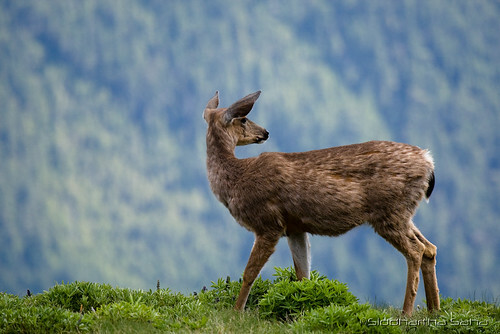 Picture of a deer on our recent camping trip to Olympic National Park. 7A3V1072, originally uploaded by siddharthasaha. It turned out to be really good. No post-processing involved at all!! Handheld at 1/10s exposure. Not bad – not bad at all. Something like a running commentary on the happenings surrounding me and my world.